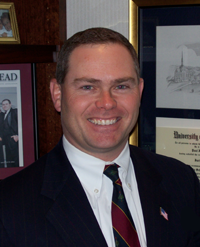 Paul is the Founding and Managing Partner of Walsh, Barnes, Collis & Zumpella, P.C. Paul’s practice covers the entire spectrum of civil litigation, including defending companies and individuals in wrongful death, bodily injury and catastrophic property losses arising from major fires, construction, industrial, tractor-trailer and automobile accidents, and product liability claims. He also defends bad faith, employment practices liability, executive and professional liability claims. He regularly represents construction companies, tractor-trailer companies, product manufacturers, banks, personal care facilities, steel companies, and electric companies. Paul has tried more than 100 jury trials to verdict. He chairs the firm’s Civil Litigation practice. Paul has frequently lectured at seminars presented by the Pennsylvania Bar Institute and the Pennsylvania Association for Justice as well presenting to numerous insurance companies. He was one of three attorneys asked to speak at the Pennsylvania State Judicial Conference in February 2007. He has authored materials regarding commercial civil litigation for the Pennsylvania Bar Institute and the Pennsylvania Association for Justice. Paul previously served as a Hearing Officer for the Disciplinary Board of the Supreme Court of Pennsylvania for a six year term. He formerly served on the Board of Directors for the Emergency Medical Foundation. He also served as President, Director, and General Counsel for the Pittsburgh Athletic Association and as chairman for the Johnny Majors/Mercury Award. Paul has been listed as an AV® Preeminent™ lawyer by Martindale-Hubbell, representing the recognition of the highest level of professional excellence by his peers, since 2000. He has been recognized as a Pennsylvania Super Lawyer from 2007-2011 and 2014-2018. 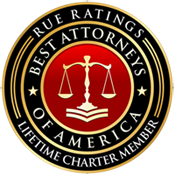 Paul was named a Lifetime Charter Member to Rue Ratings Best Attorneys of America, which is limited to the top 100 attorneys in each state.